It wasn’t until after the sudden loss of my daughter, Bella, that I was able to see that grace surrounds me. It exists everywhere; you just have to look for it! To me, “grace” is a divine gift that touches your soul; these gifts come in many forms. The most obvious form grace has shown up in my life since Bella’s transition has been signs from heaven. These signs have been a comfort to me as I grieve. They have taught me that my daughter is still with me even if I can’t see or touch her. Bella has brought me many blessings including an incredible man who I look forward to marrying, an amazing trip to Maui, and a beautiful rainbow baby. I share the most incredible sign from Bella in the book 365 Moments of Grace. The Ultrasound Miracle: Hello, Bella! 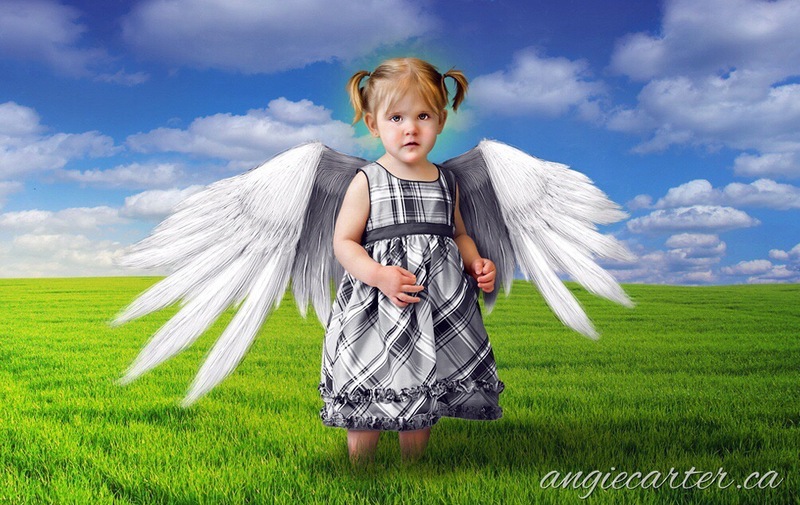 My daughter, Bella, was only 19 months old when she passed away unexpectedly. It wasn’t long after her transition to the spirit world that she began sending me signs that she was still with me. I began finding rocks in strange places, such as under furniture and inside of toys. 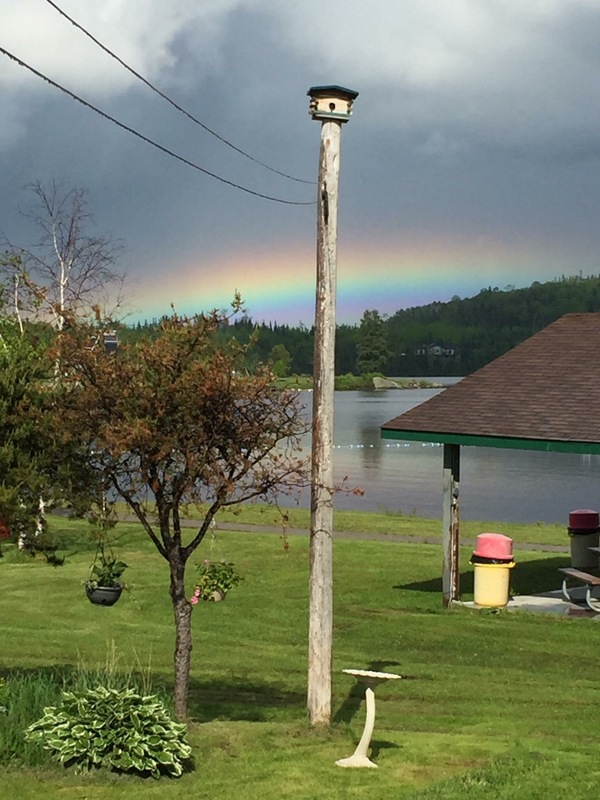 Rainbows began appearing frequently, often in places with no explanation. Electronic devices would start up and Bella’s toys would turn on, sometimes when the batteries were dead. Her favourite doll was motion activated and would talk when no one was in the room. This was her way of letting me know she was still with me, and I continue to be comforted by her presence. Last July, I discovered I was pregnant. 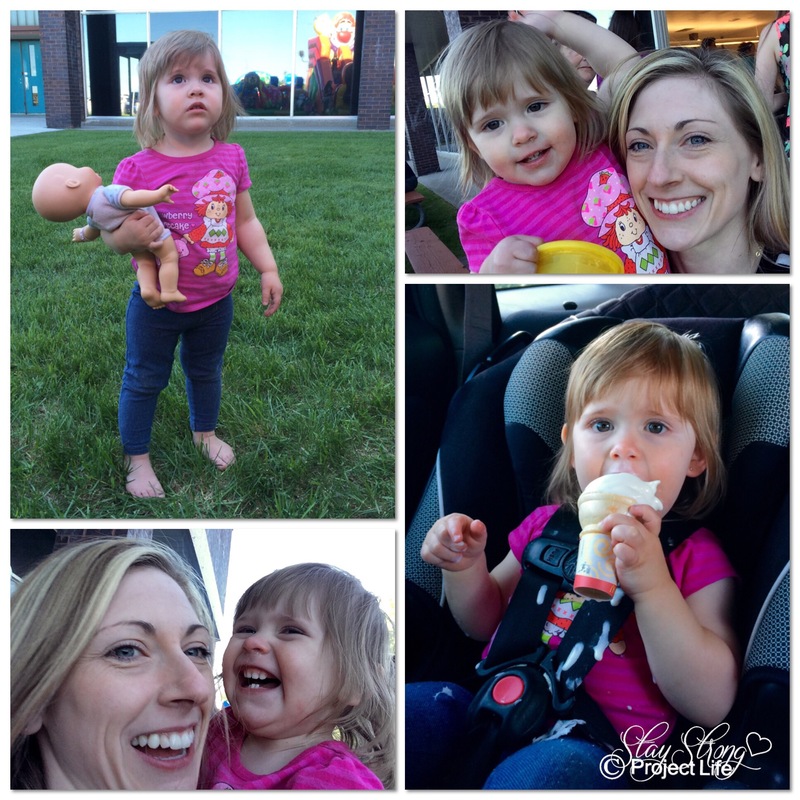 I was very anxious about the pregnancy and fearful of how I would react to a new baby. I felt a strong need to know the baby’s gender to help me prepare emotionally. I felt Bella’s presence during our ultrasound and knew she was with us. 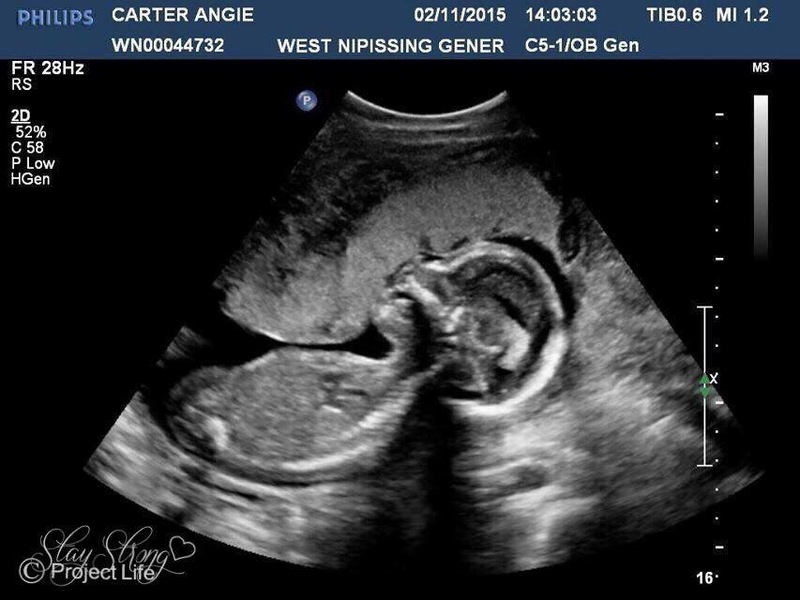 When the ultrasound technician told us we were having a girl, tears of joy began to flow uncontrollably. Shortly after we left the hospital, a rainbow appeared in the sky – confirmation that Bella was with us. I had posted a few ultrasound photos on Facebook, and a few weeks later, a friend told me to turn one of the photos sideways and look behind the baby’s head. I couldn’t believe my eyes when I looked and saw there was a face behind the baby. But what I saw was not just any face; it was Bella’s face! I layered a photo of Bella taken a month before she passed and placed it over the ultrasound. It was a match! Bella’s eyes, nose, and lips matched up perfectly. 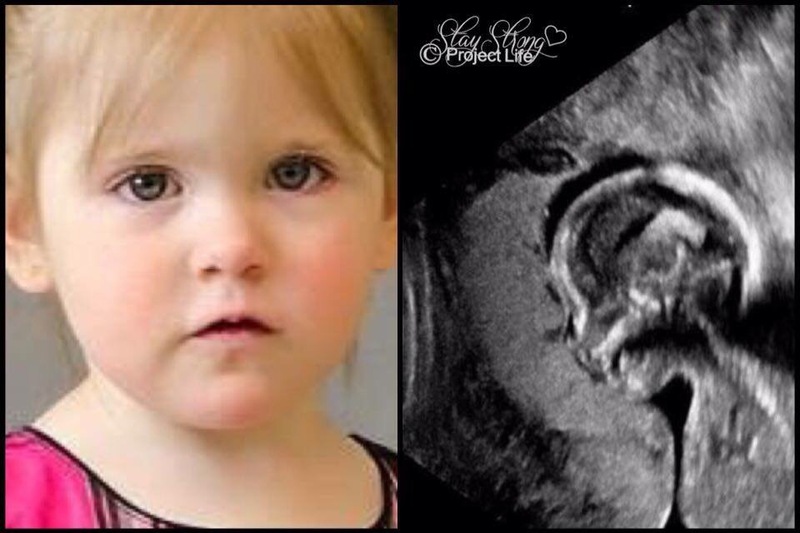 Even wisps of her hair are visible in the ultrasound photo! I have experienced many miracles since my daughter’s transition, but I have never seen anything so incredible. I know Bella is with her baby sister, and that helps fill my broken heart with love. 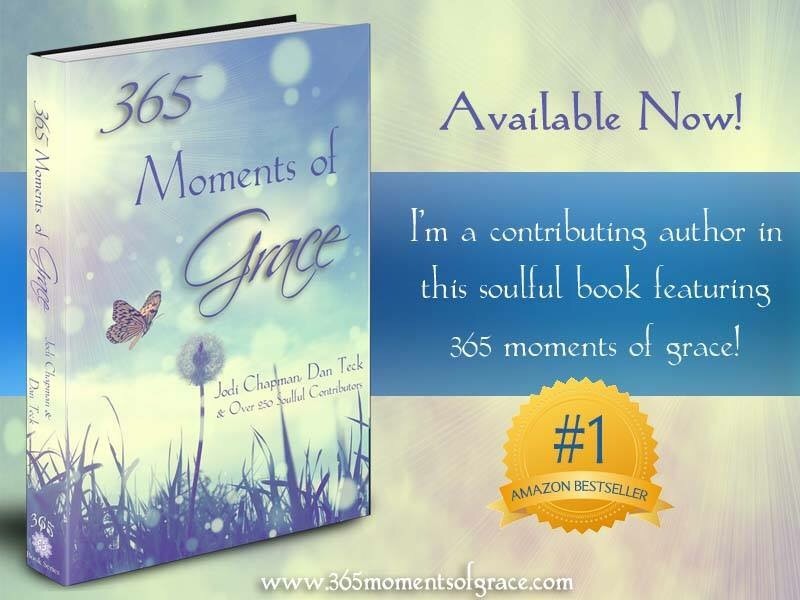 365 Moments of Grace is a book of true-life stories of grace, miracles, and transformations from beautiful souls all around the world. This soulful collection contains one grace-filled story for each day of the year from over 250 authors, including Kristine Carlson, Arielle Ford, Christine Arylo…and me! 🙂 This book is sure to inspire, uplift, and remind you of just how magical our world is and how connected we truly are. It makes a great gift for friends, family, and other loved ones…including yourself! You can learn more about the book HERE. You can also read what my co-author, Karla Joy Huber wrote about the book HERE. Plus, if you order now, you’ll receive lots of soulful bonus gifts – all created by the contributing authors – including guided meditations, ebooks, ecourses, and much more! Click HERE and enter your order number to get your free gifts (available until August 31). Tomorrow will mark the second anniversary of Bella’s transition. Part of her message to me was that love heals and I am asking for help tomorrow to help spread LOVE in the form of Random Acts of Kindness in honour of Bella. The free gift I contributed to 365 Moments of Grace are Bella Angel Cards, which can be printed HERE. Please consider printing and using these cards. I love hearing about how people are using their cards and hope to hear from you. Love heals, and together we can make the world a better place. Follow Angie Carter on Facebook, Twitter and Instagram (@altcarter). It is calm and quiet. I am alone with my thoughts. I’m thinking about where I was 2 years ago and how so much has changed. The end of the school year will always be a difficult time for me, but some years will be harder than others. This is one of those harder years. I struggle to remember details at times, and sometimes I forget entire events. This is the result of trauma. It’s frustrating when something that was a strength becomes a limitation. My mind blocks out memories from before the trauma, most likely to protect me. I’m ready to break free from this safety net. I desperately need to remember. My worst fear after losing Bella was that I would forget. I was afraid to forget her smell, the sound of her voice, things she did or said. I was so thankful that I took as many photos of her as I did, but photos couldn’t capture everything. As time goes on, my worst fears are coming true. There is no way I can possibly remember everything about her. And it’s when my memory fails me that I feel I am failing her. But some things I will never forget. Two years ago, Hudson graduated from preschool and they had a party for the kids. Bella was there with us. She watched the kids on the inflatables in awe as she held on to a doll that belonged to the daycare. The only toy she had any attachment to at home was her stuffed Barney, so this stood out to me. I remember feeding her strawberries and her and I laughing. I remember feeling so much love for her! She was always doing something that made me laugh, and that night she tried to climb into the kiddie pool that was full of ice and drinks, and refused to take no for an answer. She had a very determined personality and did not like to obey. After the party, Hudson asked for ice cream so I took them to McDonalds. We went through the drive-through because it was easier than going inside, and although I knew Bella would make a mess, I chose not to care. She surprised me and didn’t actually make much of a mess. It’s a strange feeling when a thought brings you so much joy and pain at the same time. I am grateful for the memories created with Bella yet I physically feel pain when I think about them. It takes strength to push through the pain to be able to enjoy these memories. Bella would have graduated from preschool this year. We would have attended the party together. She would have had so much fun! But instead of celebrating that milestone with my daughter, I got to see photos of the event online. These painful reminders are the reality of a bereaved parent. Every milestone she misses out on, I will sit back and watch my friends’ children achieve. And I don’t believe this will get any easier with time. Looking back at photos of that wonderful day with Bella is bittersweet. I didn’t remember was how she kept throwing her food in the garbage can, which was what we were laughing at. Bella would often throw her food on the floor, and my late dog Buddy loved Bella for this reason. That day, Bella discovered the garbage can! Today, I am thankful for these photos to remind me of the things I would have otherwise forgotten. As much as memories may hurt, they mean more to me than the air I breathe. Thank you so much for all the support! This is proof that dreams really do come true! 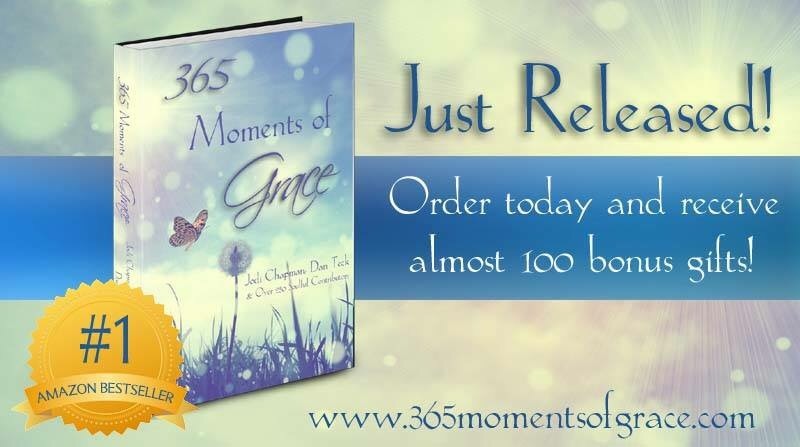 I’m so excited to announce the release of a brand-new book, 365 Moments of Grace. 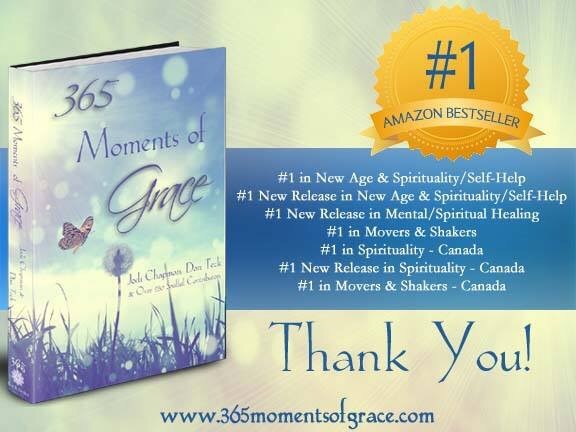 It contains 365 personal stories of grace, miracles, and transformations from over 250 beautiful souls all around the world, including Kristine Carlson, Arielle Ford, Christine Arylo…and ME! :). If you’re looking for inspiration, this book will restore your faith and re-awaken your sense of wonder in the Universe! Topics include: divine intervention, near-death experiences, messages from beyond, and many others! Plus, if you order now, you’ll receive lots of soulful bonus gifts – all created by the contributing authors – including guided meditations, ebooks, ecourses, and much more! I guess it happens when you least expect it. And it’s going to happen. Many times… It’s not something I ever thought about. But the first time it happens is a moment you don’t forget. We were at Hudson’s school last night for an “Art Gala” fundraiser. There was an impressive display of the students’ art which parents could purchase, and they had numerous activities for the kids. Hudson was fishing for ducks when all of a sudden, a women called her name. A name I haven’t heard in that tone for almost 2 years. It sounded so beautiful coming off her lips yet managed to cut my soul, reminding me of what is missing. I had to take a deep breath and shake myself. She wasn’t talking to my daughter. My Bella is not the only Bella that exists. Moments like this will happen again. I can’t believe it’s been almost 2 years. It feels like I haven’t seen her in forever but at the same time I can’t believe almost two entire years have passed. Bella would be starting school in September. She would have been at the Art Gala with us and we would have been telling her all about her new school. Hudson would have taken her by the hand and showed her around proudly, helping her feel comfortable. Bella would have been excited about it! I envision Hudson walking down the hallway holding her hand, but all I can see is a silhouette with pigtails bouncing happily beside him. 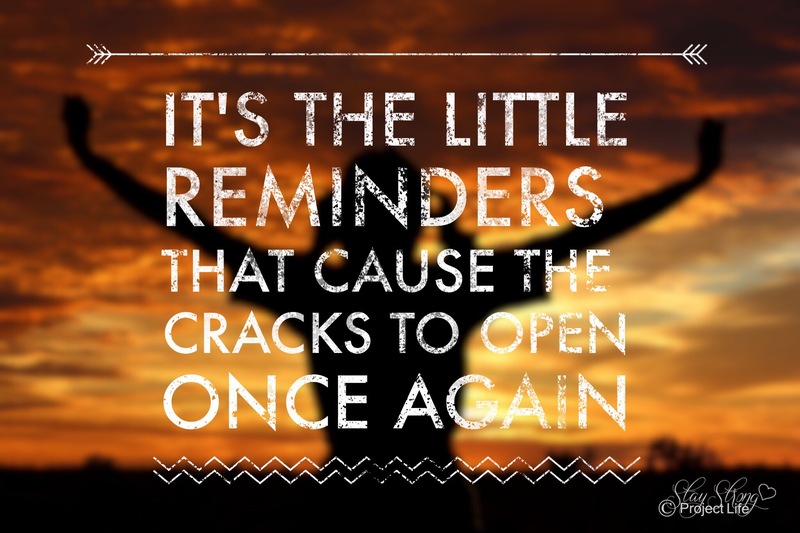 It’s the little reminders that cause the cracks to open once again. 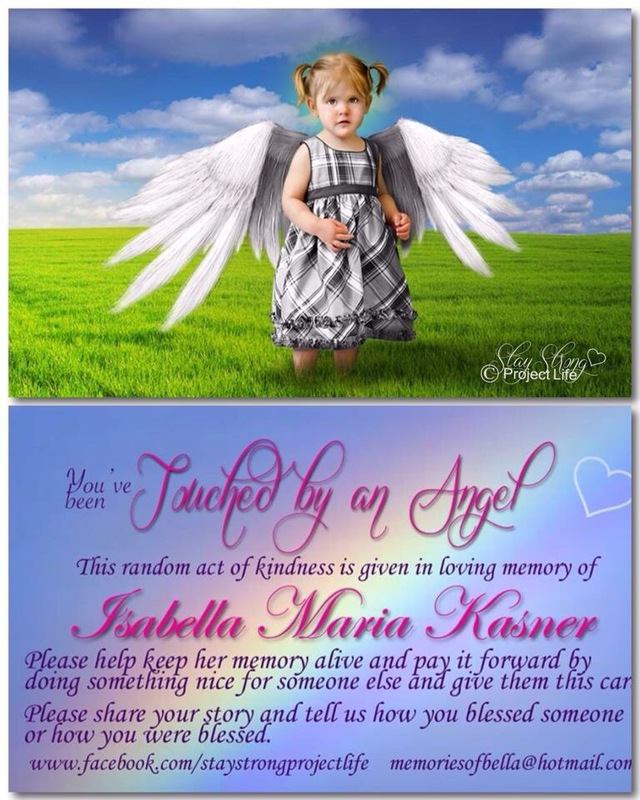 To honour Bella’s memory, I have been sharing Bella Angel Cards with people all over the world who have been performing random acts of kindness in memory of Bella (and I of course use them any chance I get). Click here to print your own cards (cut and paste the front and back). I love hearing about how people are using their cards and hope to hear from you. Love heals, and together we can make the world a better place.